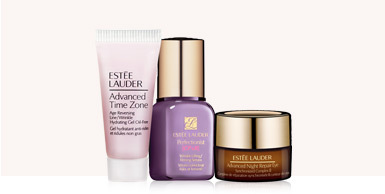 Shop online at Estee Lauder Canada and enjoy their newest promotion! Simply enter the promotional code SOPERFECT3 at check out to receive this freebie offer with your purchase of $50 or more from EsteeLauder.ca. This offer expires September 28th, 2014 at 11:59PM PST or valid while supplies last. You will also receive FREE Standard Shipping with any purchase. Also make sure you select Canada as your country in the lower corner of the web page! Click here to check out this Estee Lauder Canada Free Gift!